This is a guest contribution from Marie-Eve Vallieres. Nobody puts Pinterest in a corner. With 73 million users (85% of which are females), an expanding presence outside the United States and upcoming buyable pins, this social media platform/search engine is now more powerful and sophisticated than ever. After months of pinning diligently and engaging with my subscribers, my analytics exploded, figuratively speaking – Pinterest has become the #1 referral for my blog, bringing a steady flow of high-quality visitors (that stay on my site for more than a microsecond and comment on/share the content) every day. And that’s the beauty of Pinterest right there: their algorithm is not aggressive in the way Facebook’s is. People are either following your boards or they are not. There is no such thing as playing the Pinterest game or paying for advertisement in the hopes that an infinitely small slice of your subscribers will get to see your post in their feed. Pinterest popularity is entirely a question of how your subscribers engage with you and how easy you make it for them to share your content. 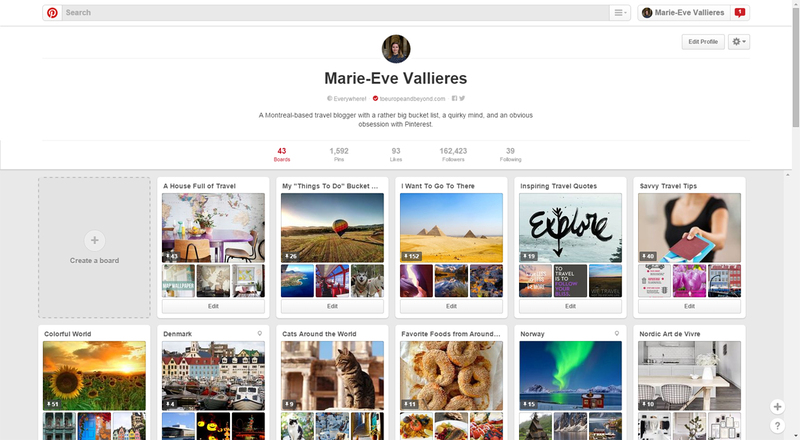 Here a few tested and tried tips that helped me reach over 160,000 followers on Pinterest. Millions of pins are being shared every minute. Your subscribers are constantly being thrown new information. How could they possibly know that your content is more relevant than the rest? Think about it: by creating custom-made pins, you will immediately stand out on your subscriber’s home feed because you will present something they’ve never seen before. You want to create something that will, 1: catch their attention, and 2: that will make them want to click through. Spend an hour or two in Photoshop to create a memorable template that you will adapt for each new pin and that your subscribers, in time, will come to recognize and associate with your brand. Always opt for vertical images. Pinterest automatically resizes pins to the same exact width. Play around with your image’s length in order to create something big enough to be noticed. Don’t shy away from bright and bold colors. You do want to catch your readers’ attention, don’t you? Clearly state what the pin is about. Opt for concise yet engaging wording that reflects the content of your blog post. 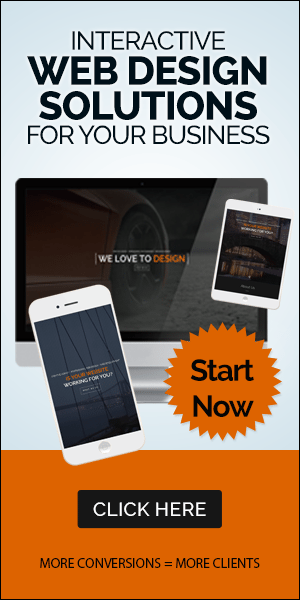 Stay in line with your blog’s visual identity. Use the same fonts or color scheme if you have one. The first custom pins you will want to create are for blog posts that are already being shared on the platform; enhance the appearance of your own popular content in order to make it even more shareable. In order to find out which posts are attracting the attention of other users, simply follow the URL www.pinterest.com/source/YourBlog.com/ and see what comes up. These are the posts you want to make as Pinterest-friendly as possible. Nobody likes a spammer; don’t be that person who only shares his or her own content. Strengthen your brand’s identity by pinning things that are relevant to your niche or personality that you haven’t created. Identify lacks in your competitor’s strategy and enforce them on your own boards. Engage with the influencers in your community. Participate in collaborative boards. This will ensure that you won’t bore or annoy your subscribers, and that your brand’s presence on Pinterest will be as organic as possible. It’s one thing to improve your Pinterest interventions directly on the platform; it’s another to fine-tune your blog in order to make it inherently more pin-able. There are two ways to encourage your readers to pin your content (I strongly encourage you use both and not just one of the two). First is by adding Pinterest buttons to your social sharing plugin – this method will allow your readers to share the post straight to their boards, as the featured image and title will generate automatically. The second and most effective option is by adding a “Pin It” plugin for your images – this, on the other hand, will enable your readers to pin whatever image they like in the post (a hover Pin It button will appear when they mouse over your images) and create their personalized caption. This technique works particularly well if you use lots of vertical images on your site. Marie-Eve Vallieres is a professional travel blogger at ToEuropeAndBeyond.com and social media strategist from Montreal. She has been to more than 20 countries, lived abroad in both France and the U.K., and is always on the lookout for authentic experiences wherever she travels – as long as she has WiFi. 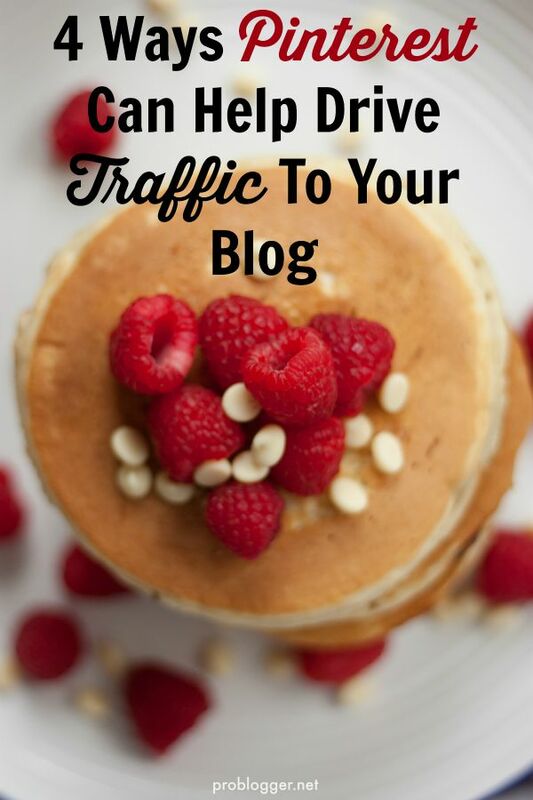 The post 4 Ways Pinterest Can Help Drive Traffic To Your Blog appeared first on @ProBlogger.